National Baptist Convention - Envisioning the Future Exceptionally - Calling All National Baptist Women! Update Your Personal Data Today! Calling All National Baptist Women! Update Your Personal Data Today! 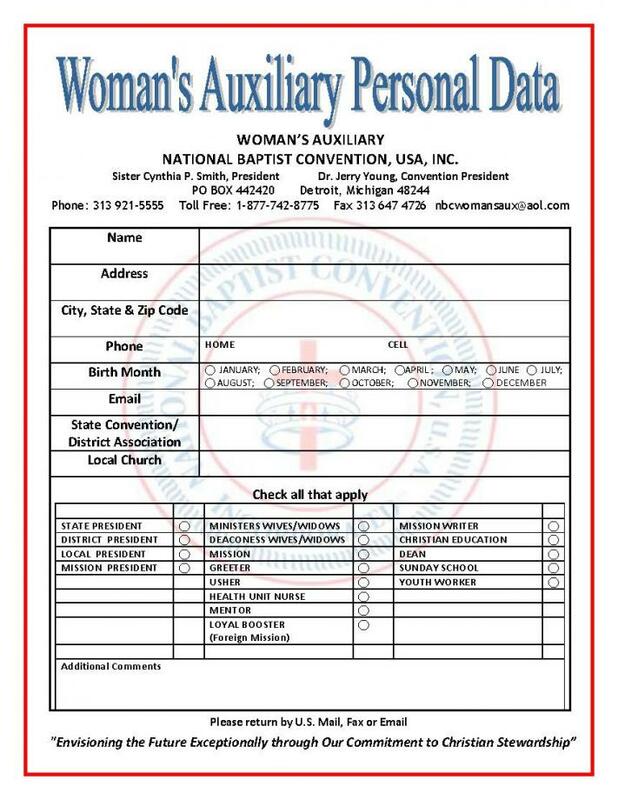 The Woman's Auxiliary needs you to take a minute to update your personal data so that we have accurate contact information. Download the form by clicking on the image of the form. Save it to your computer. Open the document and fill it in. 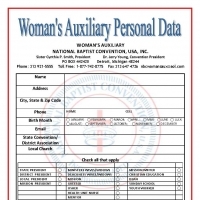 Save it and send to the address indicated on the form or email it to: nbcwomansaux@aol.com. Don't delay, do it today!